I attempted to buy two miniatures of this Japanese blend at auction but ended up with the tatty one with the torn label. Even so it cost me £4.75. The bottle in better condition went for £8.25. I’m sure a year or so ago I could have got it for £3 but it goes to show the rise in popularity of Japanese whisky of late, even for a blend! 5 months before this auction a full bottle sold for £37.50. A review can be found here on Pete Drinks. 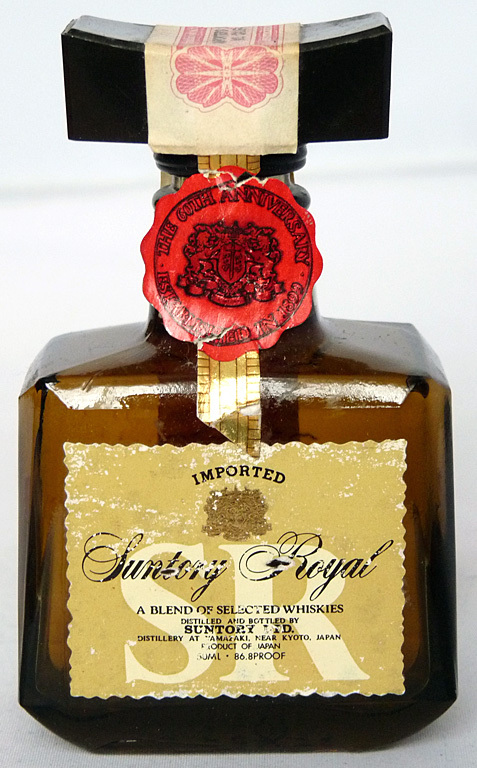 This entry was posted in Suntory (Japan) and tagged 43%, 5cl, 86 Proof, Blend, Japan, Japanese, NAS, Online Whisky Auction, Suntory, Suntory Royal. Bookmark the permalink.